Can Someone Who Is Allergic To Cats Develop An Immunity? If you start sneezing and get red, watery eyes every time you're around cats, you might not be doomed to a life without a kitty to cuddle. Some people can develop an immunity to specific, individual cats. 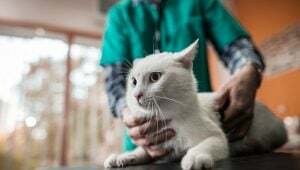 Mobile veterinarians, which have recently been popping up in cities around the country, can help your cat get their annual wellness exam, as well as other treatments, without the stress of traveling. 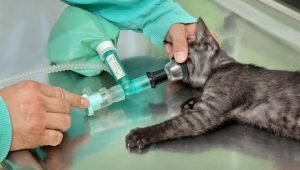 Anesthesia: Is It Safe For Cats? When Is It Necessary? Anesthesia still poses some risks; although, bad reactions to anesthesia rarely happen in cats, and there are ways to reduce those risks. Here's what you should know.